rodndtube.com's (OLD) MyPaipoBoards Forums. Reading but no posting on the OLD forums. :: View topic - Viper v-7? Posted: Wed Jul 27, 2011 10:43 pm Post subject: Viper v-7? I have a chance to pick up a pair of Viper V-7s( the long ones) for cheap. How do they compair with the regular v5 Vipers? Im wondering if they would be too long to also use kneeboarding. I used the 7" blade Vipers (for bodysurfing, knee boarding, & bodyboarding) back in the day when that was the only fin Viper made. Worked fine on the knee board, but I would always trim down the top side rail so my feet would lay flatter against the deck. You could easily trim some length off the blade of the V-7 too. I don't knee board much now, but I've been using the V-5's for years for other kinds of surfing. The orange dot V-5 is a lot more comfortable than the yellow dot, & I don't notice much difference in the thrust between the two. 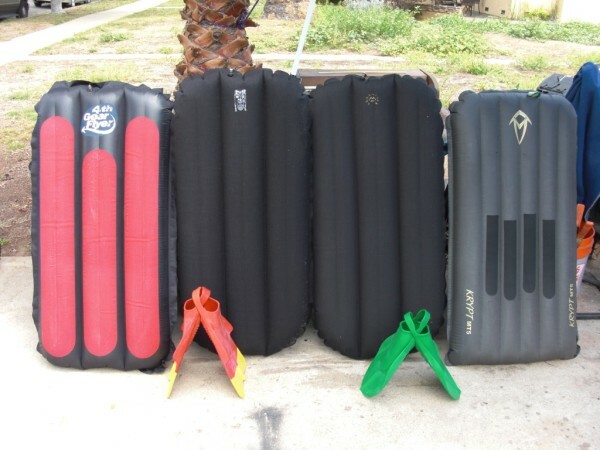 Also I found some H2O smoke swimfins but can't find anything at all on the net about them. Anyone use them before? How do they compair with others? I haven't tried those new style H2O Smoke fins, but the first gen H2O fins that looked like oversize Churchills were terrible. The foot pocket was hard & uncomfortable & the blade was too long & stiff for that style of fin. Vipers have always done a number on my feet. In fact most fins do. But after years of searching I found "DA FIN", they are the best fins for me. 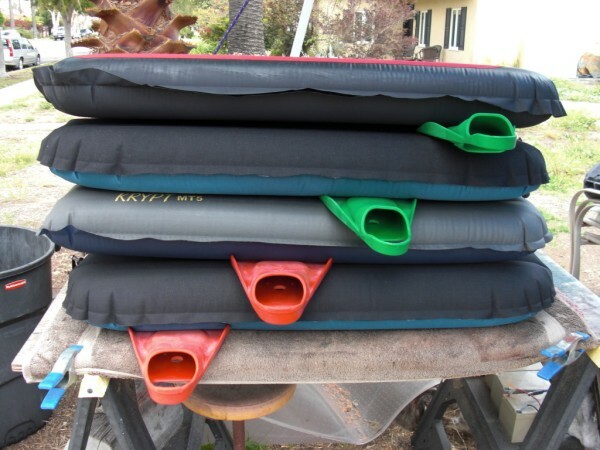 They were designed for lifeguards in Hawaii, have alot of power and are very comfortable. Same folks make a fin aimed more at the bodyboarding crowd called KICKS, I've never tried them but have heard good things about them. I think they have the same foot pocket as Da Fins. I switched to Vipers V5 Orange Dot (flexi blade) sometime during the past 10 yrs when my old rubber compound Churchills bit the dust. During the last year I started using Vipers V5 Yellow Dot (stiff blade) in tropical waters because the blades on both pairs of my Orange Dots were beginning to feel to squishy, but are ok in cool water. The Yellow Dots worked fine in warm and tropical water but really did a gouge in my ankle when using lycra fin sox - had to start using .5mm with them. I've tried dozens of fins, including the early Vipers, but always come back to my Churchills. I do have a pair of Da Fins which work well if I am in fine whack; Da Fins generate a little more thrust than the Churchills, but have precipitated cramps in the impact zone on occasion. For me, slow and steady wins the race. I lost my 1980's Vipers in some shorebreak and haven't missed them. Many of the fit young guys around here use the V5's. Ok I just picked up a pair of H2O Smoke swimfins. only $48 with H2O fin socks. I will head out to the Point or "Mondos" if that is where my Son chooses as he is learning. I will at least get to jet around and find out how they work. I have had many Churchill fins of all the colors and dont like 'em too much,dont hate 'em just dont prefer them. My last pair was the Viper v5 yellow dot.....made me tired even when I was younger. I have been using the Viper v5 orange dots(barrowed) the last few times out and thay are ok but still wreck my big toe and my ankles. Im hoping that these are somewhere in the middle of burst power and paddle compfort. These fins are flat and I think will work well for my kneeboard. V-7's all the way. I've torn my last pair up, so now I'm back to V-5's, but V-7's are my all time best favorite. I wear them in cold water with pretty thin fin socks. If I ever get a tattoo it will probably 'Anne' (my wife) but the next would be V-7. I have been happy with Churchills. Easy on my feet, ankles and legs. I have been tempted from time to time to try alternatives to see if I can get more power/speed.....but this discussion thread has reconfirmed that I should just stay with what I know and like. Ok maybe Im a bit harsh...but I gambled and they just arent great but I guess a good back-up fin...I failed to mention I did see a guy walking down the beach with a plypo. It was round nose and a cresent tail the a boogieboard. Totally cool to see. I went out for a second time with my Brother in law and my nephew. The skim board I was using was just too small and too much work. I didnt have as bad an opinion of the swimfins the second time out. While sitting in the lineup my Brother asked me about paipos and when I told him I was looking to make one he wanted in on it and so did his Son..whoohoo! Ok so on a scale of 1-10, I'd give the fins, the H2O's, a 5 on performance and a 10 on comfort.